We will introduce “Iidagawa” today as twelfth brewery out of 12 breweries, and this is the last brewery. Yonosuke Ito called for the comrades and started the sake business as Iidagawa Shuzo Co., Ltd. at current Iidagawa, Katagami-city, Akita prefecture in 1921. He acceded to the first president of this company, used “Iidagawa” as their brand name, and sold sake around the Iida-river mainly. After that, as the second president, Jiro Abumihara and as the third, Taketsugu Morohashi acceded to the president. In 1940, they held the 20th Anniversary of the foundation; however, with the establishment of Takashimizu in 1944, their 23-year business came to the end. The second son of Taketsugu, Masao acceded to the forth president of Akita Shurui Seizoh Co., Ltd. and Akita Shuhan Co., Ltd., and contributed to the development of Akita’s brewing industry as a vice chairman of Akita Sake Brewers Association. The picture above is the label of Iidagawa. The brand name same as the name of their foundation place is printed dynamically. Among the 12 breweries, 23-year history is the shortest; however, we can imagine that they valued their local area and took root there. 12 old stories of the predecessors of Takashimizu are all done, but Takashimizu history still continues until today. 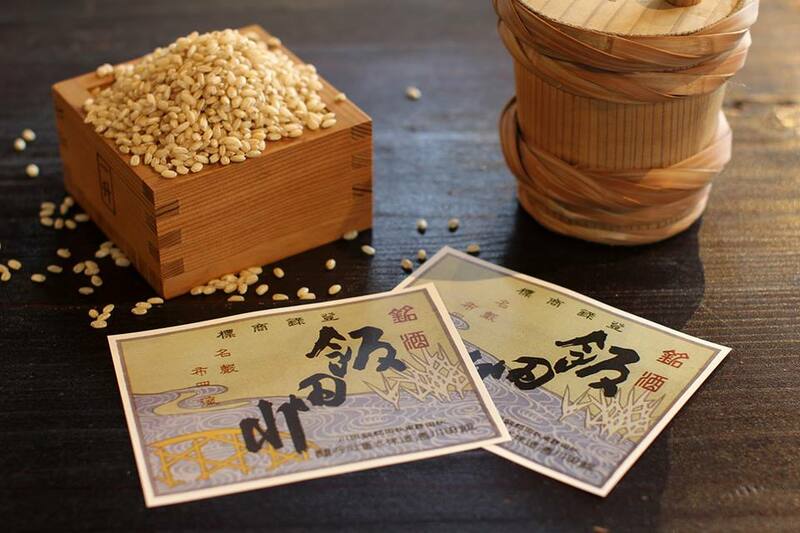 The more you know, the deeper taste you can feel from Takashimizu old history. Please enjoy another story of Takashimizu if you have a chance someday.